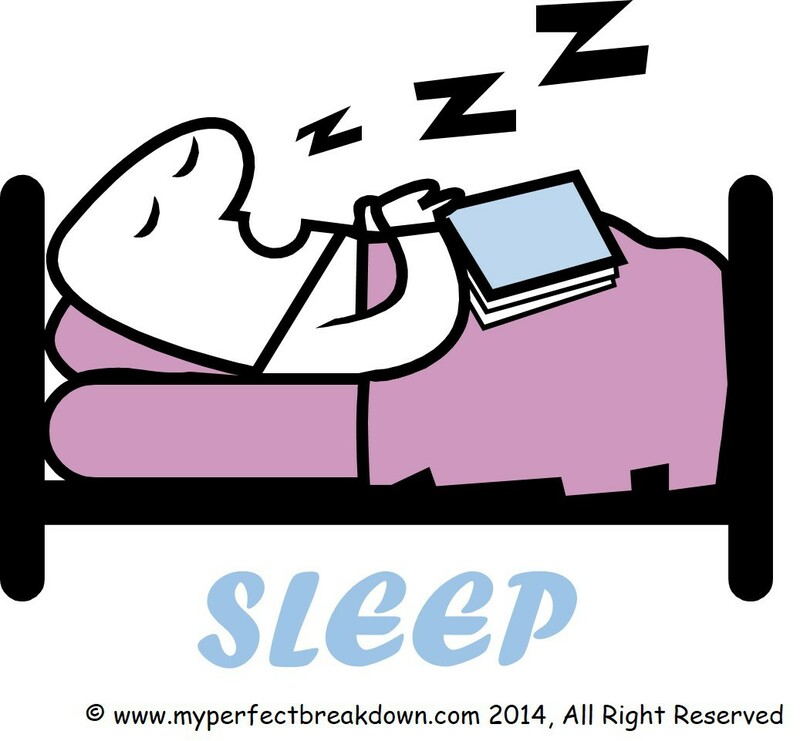 This morning’s post is brought to you late today thanks to the wonderful thing called sleep. You see, Little MPB is what most people call a good sleeper. He has loved to sleep pretty much since the day he was born. When he was only a few weeks old he was sleeping in 4-6 hour stretches. And within a few months he was sleeping 8 hour stretches. And for months now he sleeps 11-12 hours every night. The only exception to his wonderful sleeping abilities is teething and/or illness, which throws him off. And the last few weeks of illness have been particularly tough on him as he is waking himself up coughing. Recently he has actually started saying sleepy to us at about 6:50pm, because he doesn’t want to stay up any longer (his bedtime is 7:00pm). Anyways, the point of this isn’t to make you hate us with our good little sleeper. The point is that Mr. MPB and I have all the sudden started falling asleep earlier in the evening too – as in 8:30pm. MPB is a night owl, so he’s used to going to bed much later. And even I’m usually up until about 10pm. So, 8:30 is a tad bit weird. And, I’m not even waking up at 3:30am worry about something. Instead, for the last few days we have both simply fallen asleep for the night. If it were just me being this sleepy I’d probably be worried that my thyroid is off. But since we are both exhausted, it’s not just my body doing something weird. I’m kind of thinking this is our bodies response to the crazy that is our lives right now? Or maybe it’s a delayed response to the end of daylight savings time, since its so dark here basically all the time now? Or maybe we are both getting sick (please no)? But I must say, falling asleep early and sleeping through the night has been rather refreshing. But, this is presenting a small problem – by sleeping an extra few hours per night, I’m not getting nearly as much done during the day as I’m used to and suddenly I feel like there are way too few hours during the day. Are you sorta-kinda waking up when he coughs at night? I hear S through the monitor, and I swear it interrupts my sleep even if I don’t wake up all the way, so that I feel more tired when he has a cough at night. Just an idea! Absolutely we are waking up when he coughs. Because I’m such a light sleeper I never have the monitor – Mr. MPB has it. And even he’s turned the sound off. But his cough is actually improving right now and the last few nights have been a bit better, which maybe is why we are both finally sleeping again? Take it when you can get it! And fingers crossed you guys aren’t getting sick. Living vicariously through you… I can almost remember what it was like to get TOO MUCH sleep… Almost. Waking up coughing is so sad… Avery’s been going through that too and she sounds so frustrated and angry and exhausted when it happens. I hope the coughing is over for you guys! I hear you on this! I feel tired all the time, too. Funny enough though…ever since C started going to bed earlier, I’ve been staying up later! Probably also because she’s been sleeping later…but still…I just can’t get my brain to shut off. I haven’t been sleeping well though, like you have! I wake up around 4 am and stay up for at least an hour because I can’t shut my brain off. I figure eventually I’ll get exhausted enough and just sleep through the night at some point! Sometimes, since having kids, I go through 830/9pm bedtime phases. It is what it is. I don’t try to fight it anymore. If I have the energy to stay up and be productive I do but if I cannot be bothered I’m all cool with that too. No biggie! Enjoy the extra zxzzzz. You guys obviously need it!! Mackenzie is a really good sleeper too, it is nice. Some nights she is wanting to climb in her crib before brushing her teeth.